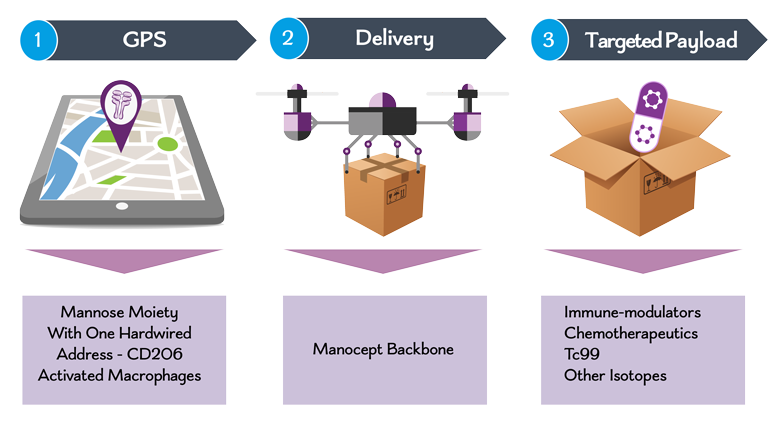 Our Delivery System :: Macrophage Therapeutics, Inc.
CD206 Targeting: Macrophage Therapeutics’ (MT) proprietary Activated Macrophage targeting platform binds to the CD206 receptor, which is only expressed on Activated Macrophages of the immune system. 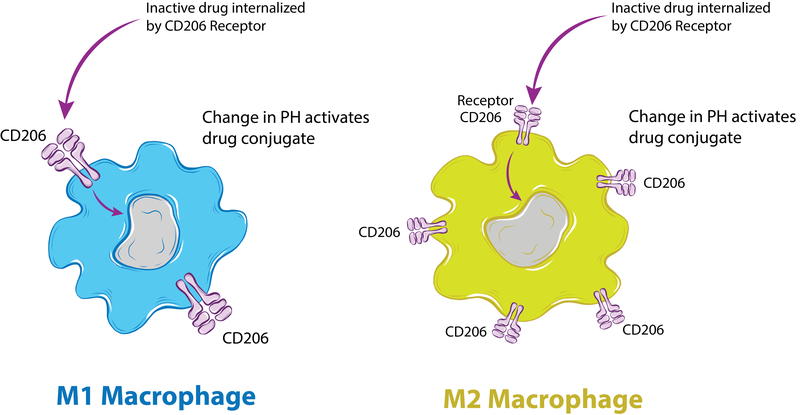 Internalization: The conjugated drug payload (currently inactivated) and MT delivery backbone are internalized by the CD206 receptor of the Activated Macrophage. PH Sensitive Release: Once internalized, a drop in PH cleaves the conjugated drug payload which activates the therapeutic agent to modulate (MT-2000 class) or destroy (MT-1000 class) the targeted Activated Macrophage.